At a little over a $1000 purchase price, the Toshiba L350 Satellite Pro may be the laptop for you if you need a 17 laptop.If it's budget your aiming for, theM305 we just reviewed trumps this model in almost each and every way except for display (yes, including price). Compared with other laptops aimed at the same demographic like the Fujitsu Lifebook E8410- this islarger and bulkier than the Lifebook, but at a much reduced cost. 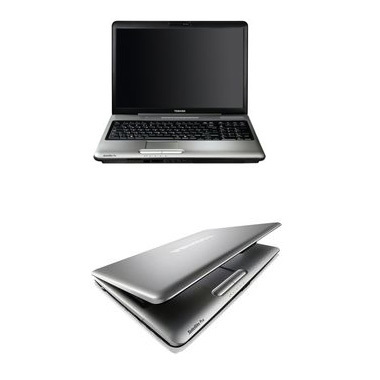 The L350 costs just over $1000 depending on the retailer, whereas the Lifebook is going to hit you up for $1600. I was left less than impressed for a 17" notebook, but to be fair the Toshiba L350 Satellite Pro is a fine enough laptop for the cubicle bound business person. But for the commuter, student, artist, movie watcher or laptop enthusiast, there are plenty of better laptops out there that will be easier on the back if not on the wallet. Promoted by Toshiba as a desktop alternative for the business class, the L350 is indeed decently powerful. But that power comes in a large and clunky package, without much incentive to be used as a mobile PC. Like using a filing cabinet as a paper weight, this laptop can certainly get the job done, but it takes up much more room than necessary.